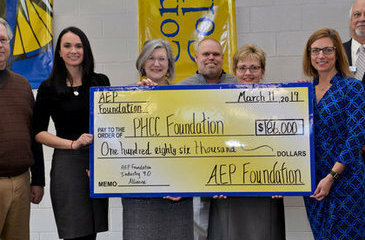 The American Electric Power [AEP] Foundation – a charitable organization which aims to improve lives through education – has announced that Patrick Henry Community College will be the recipient of a nearly two-hundred thousand dollar grant. With the grant, the college is establishing the AEP Foundation Industry 4.0 Alliance. The Alliance is made up of industry leaders and community partners who support the growth and expansion of Industry 4.0 training at PHCC. The Alliance, which is headlined by the AEP Foundation, also includes NC3 and Festo – industry leaders in advanced manufacturing – and community partners such as The Harvest Foundation. The college anticipates that more partners will be joining the newly formed alliance soon. The first objective for the Alliance is to help PHCC launch Industry 4.0 level two training to prepare graduates to work with cloud computing and cyber-physical technologies. 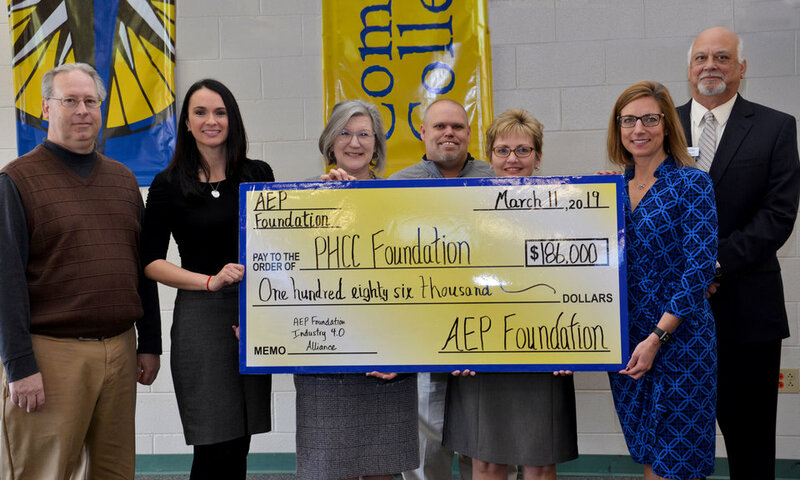 The grant money from the AEP Foundation and donations from other members of the Alliance will cover some of the startup costs and equipment purchases PHCC will need to begin offering Industry 4.0 level two certification training. The college has been offering the Industry 4.0 level one certification since August 2018. The concept for Industry 4.0 training was developed just last year by NC3 in partnership with Festo and leaders in other advanced manufacturing industries. Training for this emerging career field is so new that PHCC is one of only two colleges in the nation to offer all level 1 certifications. Presently, no training facility in America offers the Industry 4.0 level two certification that PHCC is preparing to launch. When the college begins offering level two training this summer, it will be one of the first training facilities in the world to offer Industry 4.0 training at that level. For the students, earning an Industry 4.0 level 2 certification could mean more job offers to higher paying jobs and faster career advancement. Locally, employers like Mehler Engineered Products, Eastman, Georgia Pacific, and Hanesbrands are already seeking employees who have the level 2 skills. Locally, positions that require level two certifications typically pay more than $40,000 a year.